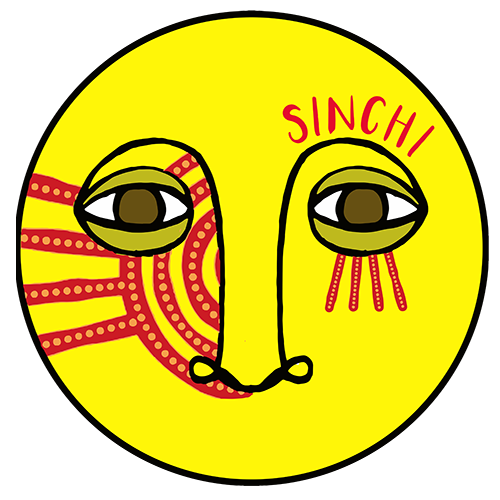 Sinchi respects your right to privacy. We now meet the high standard for data privacy introduced by the new European data protection law known as the General Data Protection Regulation (GDPR), which goes into effect in May 2018. Any details that you give to us via this website or in any other way may be added to our database. You do not have to give us any personal information in order to use most of this website. However, if you wish to take advantage of some of the more special personalised member services that we offer, you will need to provide certain information. When someone visits www.sinchi-collective.com we use a third party service, Google Analytics, to collect standard internet log information and details of visitor behaviour patterns. We do this to find out things such as the number of visitors to the various parts of the site. This information is only processed in a way which does not identify anyone. We do not make, and do not allow Google to make, any attempt to find out the identities of those visiting our website. Our database of personal details (however collected) is used by us, and third parties acting on our behalf, for client administration and marketing related purposes. We may occasionally send you mailings which you have requested or we feel may interest you and/or are relevant to your business. Such mailings may include details of our activities; newsletters and invitations to our events. We may retain your Personal Information for as long as your User Account is active or as otherwise needed to provide you with our services. We may continue to retain such Personal Information even after you deactivate your User Account and/or cease to use any particular Services, as reasonably necessary to comply with our legal obligations, to resolve disputes, prevent fraud and abuse, enforce our agreements and/or protect our legitimate interests. We keep our privacy notice under regular review. This privacy notice was last updated on June 8th 2018. Sinchi-collective.com may use a “session cookie” to identify your browser “session” as you move between pages on the website and perform activities. The website cookie allows our website to recognise each subsequent request from your browser as being the same browser that made the initial request to our website. Please be aware that restricting cookies may impact on the functionality of sinchi-collective.com.